If you own an iPhone 6 or later and have issues with your phone’s battery life, now’s the time to visit us and take advanage of the reduced price battery replacement program. Last December, Apple acknowledged that it had been quietly “throttling,” or lowering, the performance of older iPhones. Apple stated the goal was to preserve battery life on those older phones and prevent them from shutting down unexpectedly. Apple Battery replacements previosly had cost upwards of $129 and will revert to this pricing after the 31st December 2018 unless the program is extended. So if your iPhone’s battery life is shorter than you’d expect, take advantage of the last opportunity to get your battery replaced at our Apple Authorised Service Provider location (mostly a same day repair) before the program expires and your left with a phone that does not last the day. 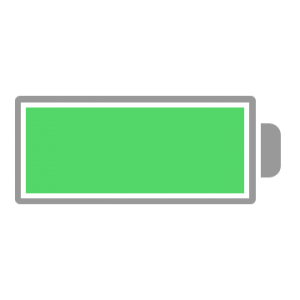 Before bringing your device in store for the battery replacement it is advised that you complete a backup thorugh your iTunes or iCloud. Once in store our staff will perform a battery diagnostics test and advise you of the repair process. We can be contacted on (03) 5244 3030 to check stock avaiability and estimated time for repair. We offer the Battery replacement service from Monday through Friday only.